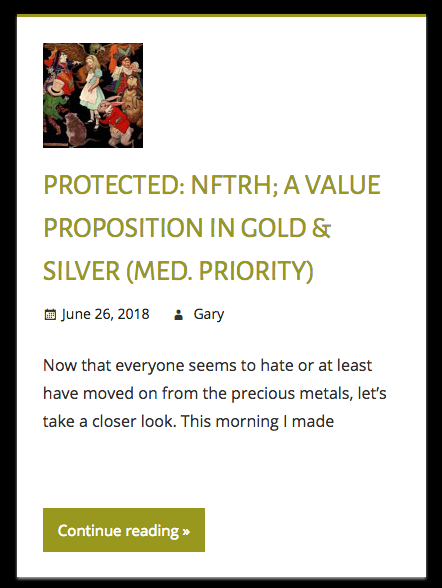 In NFTRH 506 we introduced several more aspects to the case for the precious metals, and in a public post on July 3 we noted the still bullish state of Royal Gold. 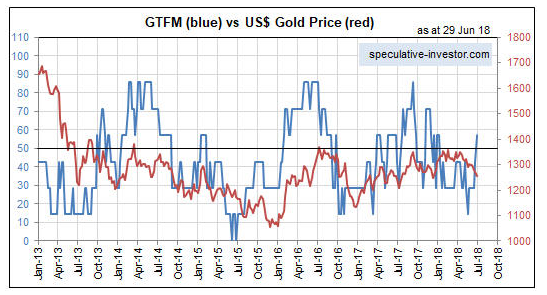 To these let’s add Steve Saville and his home-cooked fundamental stew for gold, the Gold True Fundamentals Model (GTFM), which has taken a spike upward lately. See Gold’s True Fundamentals Turn Bullish. He notes that the driver of the graph above was a widening of credit spreads, but we should note that this could easily be a twitch in the macro. There are many more considerations that would have to come into place – and stay in place – for anything more than a solid bounce or routine rally to be in play. First and foremost, Amigo #1, per our goofy and oh so helpful 3 Amigos theme would need to come into place. That would be for the stock market to decline appreciably in relation to gold. As you can see, that is not yet the case. The monthly chart shows a gap up in SPX/Gold, and a good pop in gold and some under performance by the stock market could fill the June gap (up). But that alone would not change the trend of this chart, just as the market disturbances earlier this year did not. 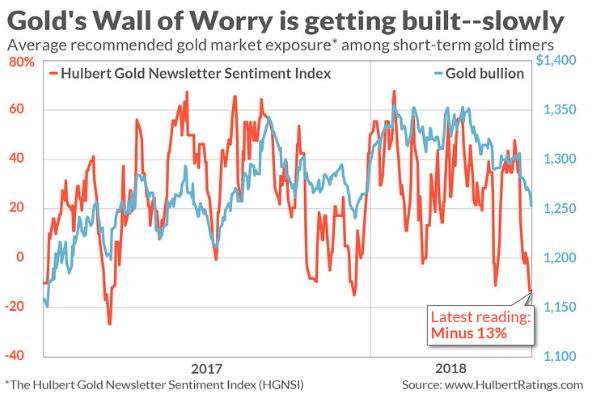 So for now, let’s only anticipate a summer rally in the gold sector and tune out the cheerleaders, who will be coming out of the woodwork after running for cover per this recent HGNSI reading. Their job will be to lead you to the promised land, finally, after all these years. Don’t take the bait. The HGNSI is only one of several data points we reviewed in NFTRH 506 indicating summer rally potential. 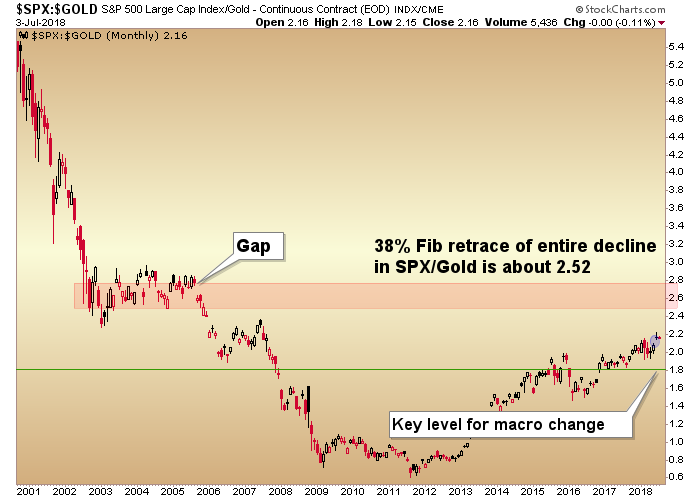 But the fundamental picture, even beyond ‘stocks vs. gold’, is not in place. That does not mean it will not come into place as often technicals precede fundamentals. But would-be gold bulls (as opposed to perma gold bulls) would be well suited to take things a week at a time, find data points (technical, sentiment and fundamental) that work and have discipline. * In mid-2016 I encountered some blow back due to a developing bullish Semiconductor/market view and bearish gold view. Point being, the people telling others what they want to hear are going to be the most popular at turning points and those doing the opposite, well… you get the idea.